SOLID. Refuge has run eight times for three wins and three places, including a victory over 1400m on the Vaal Inside track. He has Piere Strydom up and the class to win a race of this nature. Stablemate Vulcan stands out as the main danger. Finding winners is rarely easy for punters at the Vaal and that applies once again to tomorrow’s meeting where racing takes place on the Outside track. That means all the races are up the straight so it could be wise to watch early on where the better draws are on the course. There are also a bunch of well-bred first-timers in the early races so it would be wise to keep an eye on any market moves, especially as all those races form part of the exotics. Topping the eight-race card is a MR 80 Handicap over 1400m and this looks quite an open event. However, the runner with the best form looks to be Refuge, one of two runners from Scott Kenny’s yard. The three-year-old son of Tore­ador has only raced eight times for three wins and three places and produced a decent effort last time when coming back from a three-and-a-half month layoff. 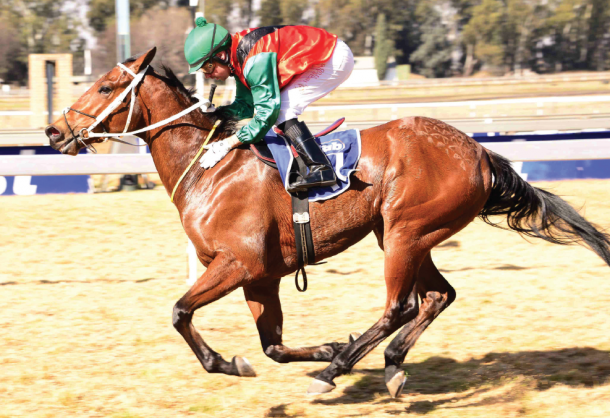 Ridden by Piere Strydom in another MR 80 Handicap over 1160m at Turf­fontein, he ran on nicely to finish a 2.10-length third behind Barbel Run. He has won over 1400m on the Vaal Inside track, also with Strydom up, when flying up late to get the better Trip To Paradise by 0.30 lengths. Strydom is back in the irons again and although he carries top weight of 61kg, Refuge has the class to win a race of this nature. Stablemate Vulcan might be eight years old but he can run a bit and last time, in a race over 1475m on the Inside track, looked all over a winner when hitting the front close home, only to be touched off late by Don Christo. He is held by Refuge on the run behind Barbel Run but should be competitive if he can repeat his last run. Gavin Lerena takes the ride. An interesting runner is Trad­ing Profit. He is also a son of Tore­ador and has been racing against a lot stronger than he meets in this event. The merit rating of Mike Azzie’s runner has fallen dramati­cally from 92 in October to a cur­rent level of 74. That gives him the opportunity to race against lower-level opposition and with S’manga Khumalo up could just be the sur­prise package of the race. Golden Man ran on strongly last Thursday to finish a long-head second behind Barbel Run over 1200m on the Turffontein Inside track but on a line through that winner, looks held by Refuge. Zouaves won a Maiden Plate last time but it was in very weak company and could need massive improvement to feature.